Here's a silly painting for you all! 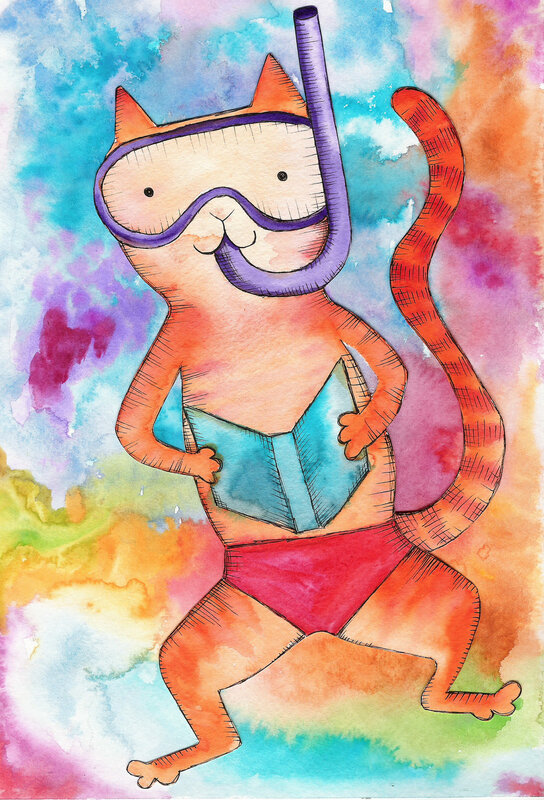 It's a watercolor painting of a cat wearing a Speedo, snorkeling and reading a book. It's for the local library summer decorations. The theme is "make a splash in reading" or something to that effect! Happy Thursday! Sorry about the grumpy post yesterday... I'm about to order a new good punch, so I feel a lot better now :) Plus, maybe I can return the broken punch to the store. We'll see.